Listed alphabetically below are many of our favorite guides, published by organizations devoted to reading and literacy issues, especially those topics related to English language learners. We hope this list will allow you to easily find and download useful resources and information. 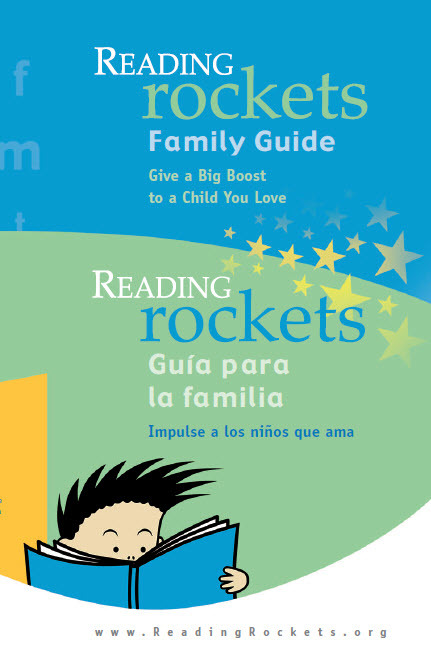 The colorful bilingual Family Guide includes tips for helping children get the most out of reading as well as pointers on working with schools and teachers, ideas for using the public library, and more. Available in Spanish, Hmong, and Somali. 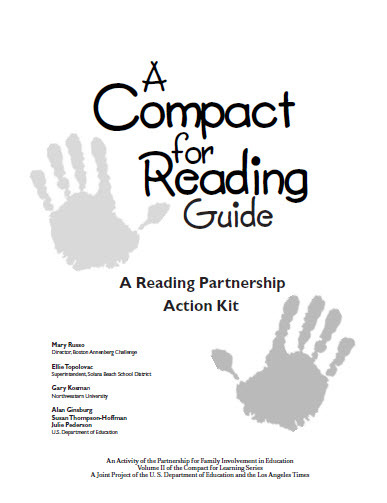 A Compact for Reading is a written agreement among families, teachers, principals, and students to work together to improve the reading skills of kindergarten through third grade students. The guide helps individuals set reading goals. The School-Home Links (SHL) Reading Kits are a collection of research-based activities designed to help families reinforce the reading and language arts skills that their children are learning at school. Developed by the U.S. Department of Education. This 60-page booklet features dozens of fun activities parents can use to build the language skills of young children from birth to age 6. 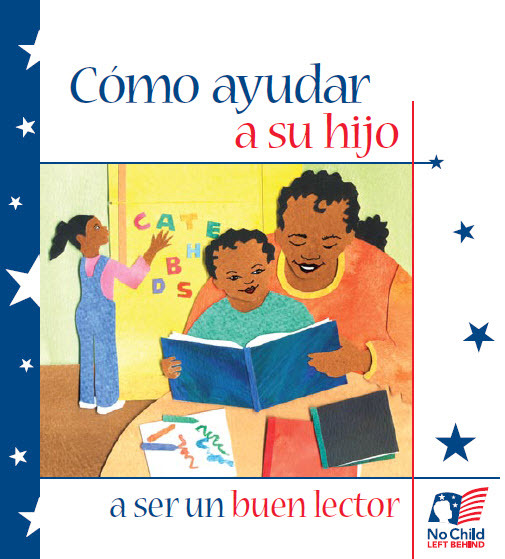 It has a reading checklist, typical language accomplishments for different age groups, and resources for children with reading problems or learning disabilities. Developed by the U.S. Department of Education. 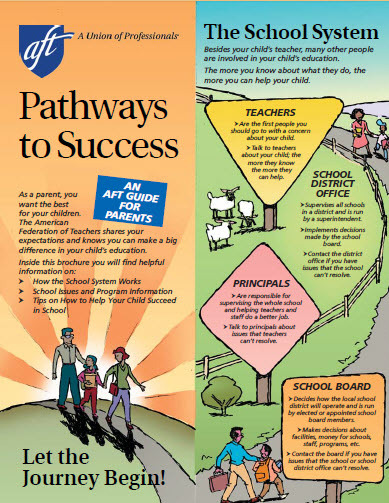 This brochure offers families advice on helping children succeed in school. It includes academic tips in each core subject from pre-kindergarten through grade 12, and provides handy information for parents and guardians on many of the key issues affecting their children's education. Topics include vocational education, the No Child Left Behind Act, standards and testing, and resources for English language learners and students with disabilities. Developed by the American Federation of Teachers. 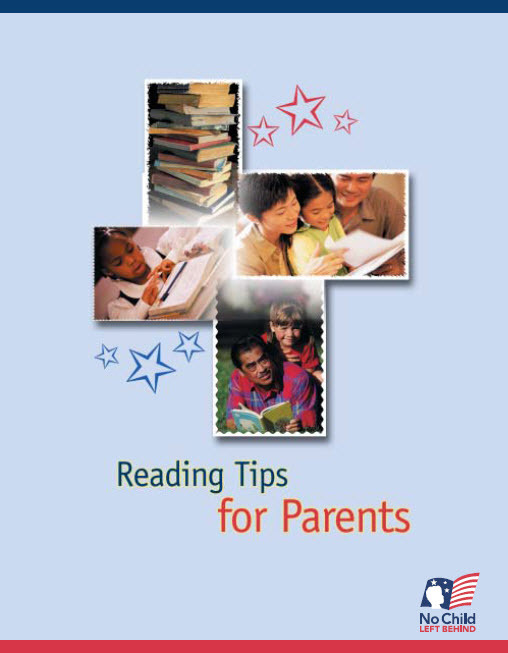 This publication offers practical ideas parents can use to help get their children ready to read and strengthen their reading skills. It lists guidelines for identifying a good early reading program, describes the five essential components of reading, and gives a brief sketch of the No Child Left Behind law. Developed by the U.S. Department of Education.